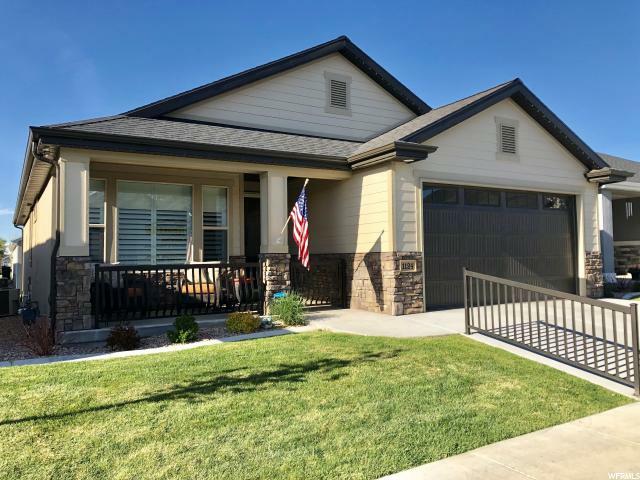 All Payson homes currently listed for sale in Payson as of 04/24/2019 are shown below. You can change the search criteria at any time by pressing the 'Change Search' button below. 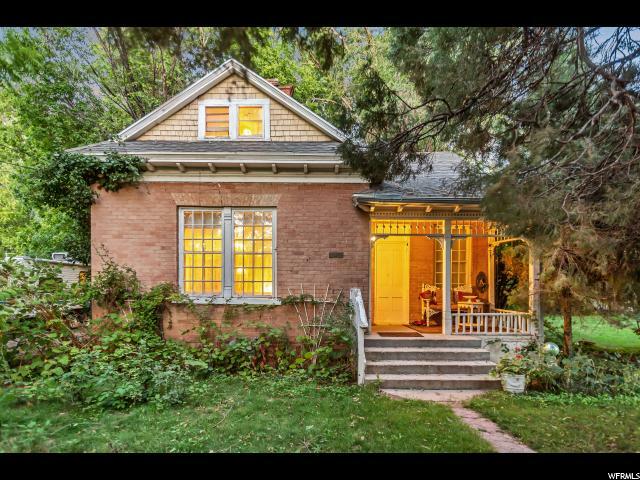 If you have any questions or you would like more information about any Payson homes for sale or other Payson real estate, please contact us and one of our knowledgeable Payson REALTORS® would be pleased to assist you. "Bright, and Beautiful. Enjoy entertaining in the huge great room and expand the party through the oversized double sliders to the massive deck. Each bedroom has an en-suite bath for the best in comfort and privacy. Views of the Payson Temple to the south and Mount Timp to the north. This house was built for with energy efficiency in mind. 95% efficient furnaces and the best quality insulation to boot. Hardie board and stone are featured on the exterior. Casement windows with a lifetime warranty are found throughout the home as well as solid core doors. " 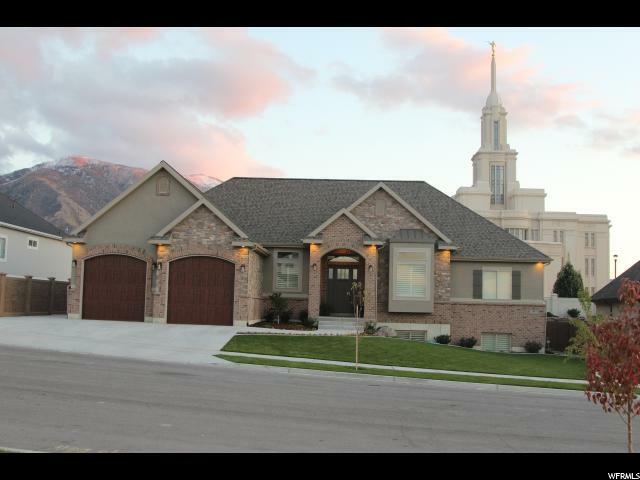 "Beautiful custom home located next to the Payson temple with breathtaking views of the temple. The backyard is against the temple property. 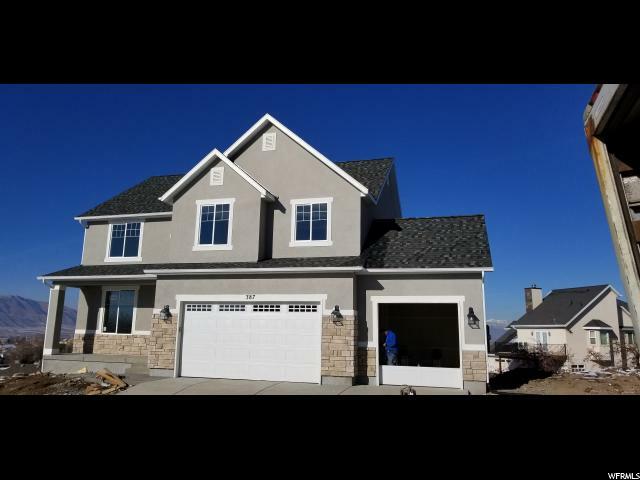 Completed in 2017 and featuring 5 bedrooms, 4.5 bathrooms, a captivating custom kitchen with walnut cabinets and granite countertops, upgraded LG appliances, 2 spacious family rooms with plenty of space for entertaining, two HVAC systems for both floors, memory foam padding and upgraded carpet, radiant heated floors in the bathrooms, vaulted ceilings, terrific viewing windows, huge sitting deck, professionally landscaped backyard with security gates, and much, much more. Square footage figures are provided as a courtesy estimate only and were obtained from tax data. Buyer is advised to obtain an independent measurement." "You will love this location. Look at the amazing views. This home is set up with everything you need to enjoy the country, close to all the conveniences of the city. Less than 15 minutes to Costco and even closer to Walmart. 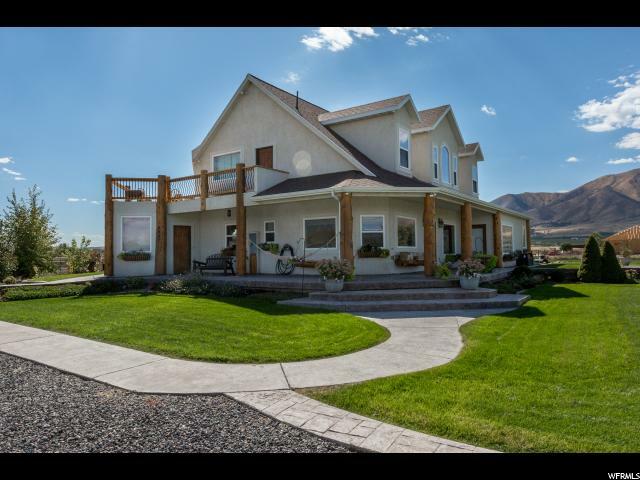 This home is set up with pastures,garden, orchard, grape vineyard, insulated barn or shop, and beautiful landscaping." 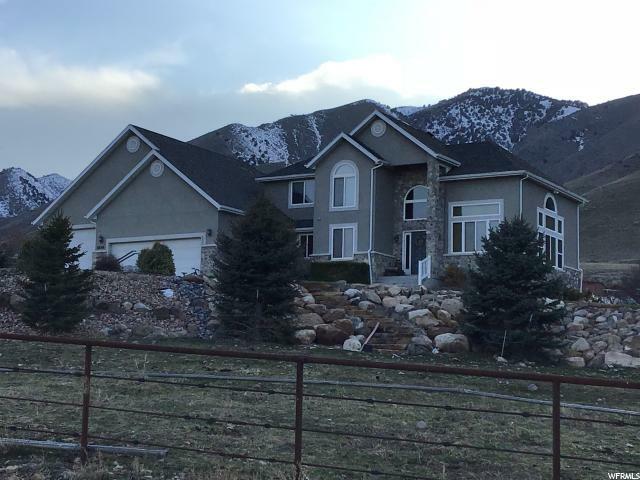 "Large 5000 square foot custom built home in a great location with endless views. Mature trees surround this beautiful Victorian style home with a large driveway and expansive 3 car garage. Great floor plan with a master suite on the second floor featuring its own balcony, a main floor living (formal) area, family room, formal dining room and a kitchen that is only seen in catalogs. An outside entrance into the finished basement with its own kitchen matches the rest of this exquisite home." "Look no further for quality craftsmanship, this prestigious El Dorado Floor plan has an amazing kitchen with an open floor plan concept. Built-in's around the fireplace. Top Floor with 4 generous size bedrooms, loft area and Laundry. Master Suite on main floor with separate Tub/shower, Gourmet kitchen W/Granite Countertops, Stainless Steel appliances and Fireplace. This home has two 95% efficient furnace and two A/C. Gorgeous view of the Payson Temple and the Mountains. " "Look no further for quality Craftsmanship, Prestigious Strausburg Floor Plan. Top floor with 3 generous size bedrooms and Master Suite on Main Floor. This home has two laundry rooms one on top floor and one on main floor. Separate Tub/shower in master bath, Gourmet kitchen with Granite Countertops, Stainless Steel Appliances. This home has two 95% efficient furnace and two A/C. Gorgeous view of the Payson Temple and the Mountains. 9' Basement walkout. Front landscaping and Stone/stucco exterior. " "*** PRICE REDUCED*** Must see this 5+ acre dream ranch in Payson/West Mountain area. This is a one of a kind property inside and out. This home has a true cabin feel with many modern amenities, such as stamped concrete floors, with heated coils throughout the main floor. Multiple fireplaces. Stove, water heater and furnace all recently replaced. NATURAL GAS, NOT ON PROPANE. Large great room with natural logs, open kitchen with bar and separate dining room. Master on the main floor with attached nursery/exercise room/book nook - you choose! Upstairs loft with walk out to full balcony with gorgeous views of the entire valley! Water shares included, along with a sprinkler wheel line to pressure irrigate your alfalfa fields. Corrals, outbuildings, sheds - all included. Firepit, covered porches all around your new home! Hard to fully describe - must see, don't wait on this one!" "Have you Always wanted the Custom 'Parade Of Homes' Home? Buy soon and be a part of picking colors and customizing the home while under construction! Basement may be completed upon further negotiation. Square footage provided as a courtesy and were obtained from Building Plans. Buyer to verify. " "2019 Parade Home! 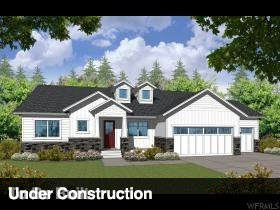 Beautiful new home located on the east edge of Payson on the border of Salem. Enjoy a view of Mount Loafer and Payson Canyon, with a remarkably rural feel. 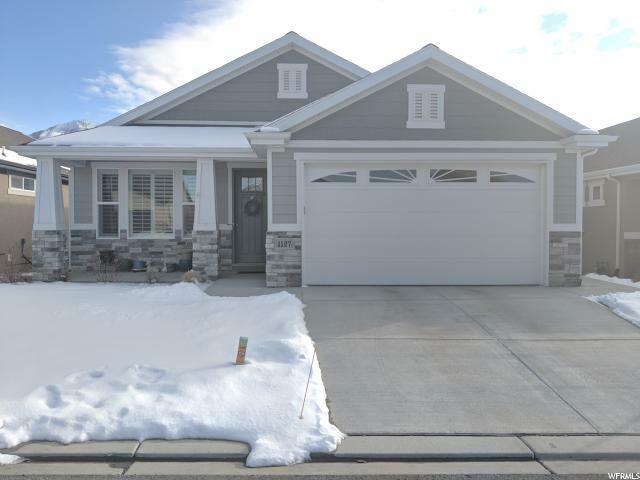 This 3 bed, 2.5 bath home is main-floor living, with lots of upgrades. 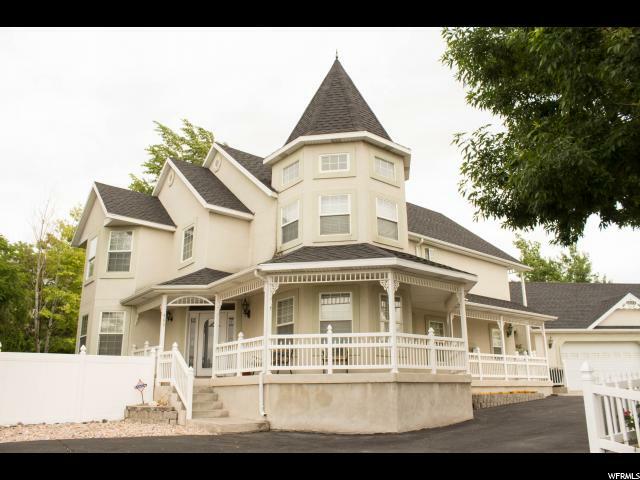 A large main floor with room for family and friends, 11 foot ceilings, 8:12 pitch roof w/ dormers, tile set shower, 5 piece master bath with his and hers vanities and an optional 4th bedroom upstairs with a cavernous basement. Open kitchen, large laundry and mud room for all the messes life brings. Square footage figures are provided as a courtesy estimate only and were obtained from building plans. Buyer is advised to obtain an independent measurement. Square footage figures are provided as a courtesy estimate only and were obtained from floor plans. Buyer is advised to obtain an independent measurement." 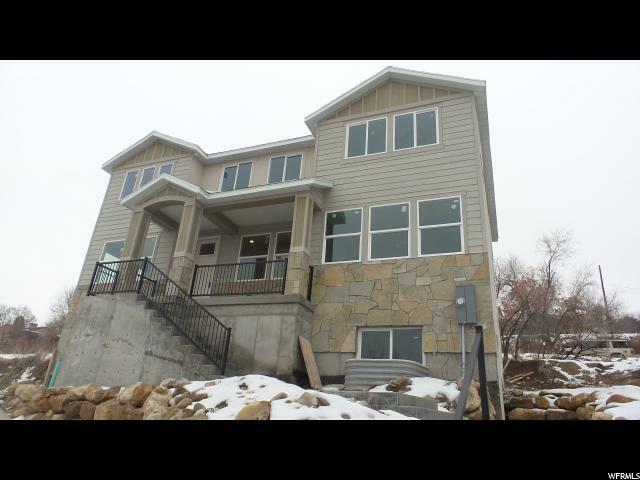 "Beautiful new home located on the east edge of Payson. Enjoy a view of Mount Loafer and Payson Canyon, with a remarkably rural feel. This 3 bed, 2.5 bath home is main-floor living, with lots of upgrades. A large main floor with room for family and friends, 11 foot ceilings, 8:12 pitch roof w/ dormers, tile set shower, 5 piece master bath with his and hers vanities and an optional 4th bedroom upstairs with a cavernous basement. Open kitchen, large laundry and mud room for all the messes life brings. Square footage figures are provided as a courtesy estimate only and were obtained from building plans. Buyer is advised to obtain an independent measurement." "Views! Views! Views! Come see this beautiful home in a quiet secluded location! Great open lay out! Walnut hardwood on main floor in all walk ways, kitchen and dining, travertine tile floors and shower surrounds, beautiful kitchen with custom cabinets and granite counter tops, vaulted ceilings, large bedrooms, office with french doors, formal living room, great mud room with 1/2 bath, 10' ceilings in spacious basement. Theater room with equipment included, huge storage room and cold storage, over sized garages, plenty of extra parking on the .96 acre lot, Boat or RV Parking, large backyard, 16 x 20 Trex deck, walk out basement with patio, fiber internet. Flag lot. Don't miss out on this great home! Call today! Agent related to seller." "Like new, single level living at it's best! This home faces south in this 55+ Planned Community for Active Adults. Many enjoy the views of the mountains and new Payson Temple. Open Floor Plan with updated kitchen, granite counter-tops, under cabinet lighting, Open floor plan features 9 ft. ceilings on the main level. Upgraded humidifier in the HVAC, water softener, and ability to hook up a generator for electricity. Lots of storage in 2-car garage that is painted and has epoxy floors. The clubhouse has a year-round heated swimming pool and spa, exercise room, quiet reading room with fireplace, large kitchen, pool table and a TV. Lots of space to entertain large family gatherings. Behind the clubhouse are 2 Pickle Ball Courts and a Horse Shoe Pit. HOA takes care of all yard maintenance and snow removal. Buyer to verify all information. Come see us at our open house on Saturday the 27th from 10am-2pm." "SPECTACULAR RAMBLER BOASTS SOARING WALLS & WINDOWS IN THE GREAT ROOM!! THE AUTUMN FLOOR PLAN IS PATTERSON'S HOTTEST SELLING HOME! THIS MUST-SEE HAS OVER-SIZED ROOMS THRU-OUT...MASTER SUITE, KITCHEN W/ MASSIVE ISLAND, GREAT ROOM, ETC. THE BUILDER'S ALSO FINISHING A LARGE BEDROOM & FULL BATHROOM IN THE BASEMENT!! TO SEE PHOTOS OF THIS PLAN, GO TO PATTERSONHOMES.COM...FLO0R PLANS...THE AUTUMN "
"This 2 story home is one of the builders best sellers.. Craftsman Exterior, layout is extremely functional with 2 story vaulted ceiling in great room. Beautiful kitchen layout with Walk in Pantry. LVP flooring in Wet areas. Up on the hill with tremendous views, Did I mention incredible views of the valley??? This Roslyn floor plan can be seen (with photos!) @ PattersonHomes.com"
"Begin your new year in a new home. Beautiful layout. All the bedrooms are larger than average and have Walk in Closets. Beautiful kitchen layout with double deep island and Walk in Pantry. Huge cold storage under the porch. Use the builders Preferred lender and get front yard landscaping included. " "This is the most extra-ordinary house. Historic in every way. The mantle is from an old Brigham Young lumber mill. The home has been re-wired and new plumbing over the years. It has central air unit and a furnace that is services regularly. New water heater. The grounds have wonderful landscaping which includes walking paths, pond and gazebo. The home still on a septic." 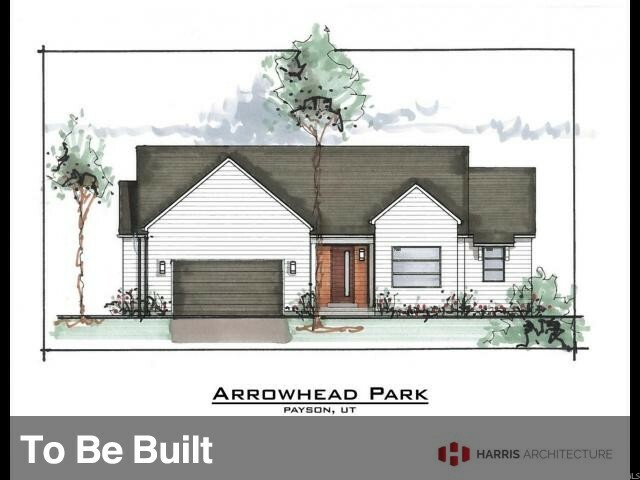 "To Be Built Modern Farmhouse in Payson's newest neighborhood....Arrowhead Park. 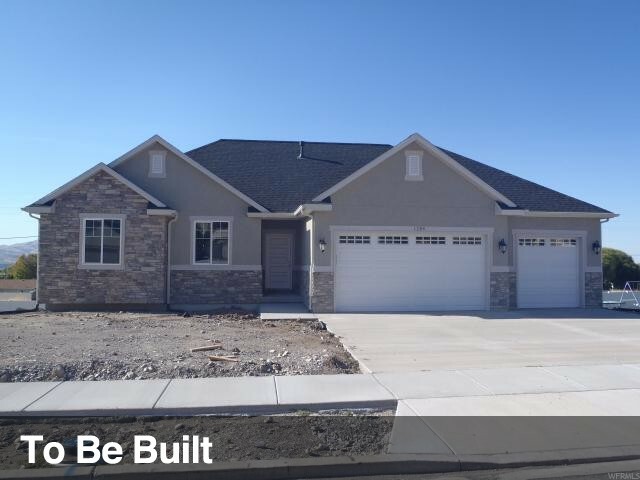 Don't settle for a tract home this is a custom home at an affordable price. 9' ceilings on both main level and basement. 3rd Car garage can be added for $15,000. Full finish basement for additional $20,000. Still time to choose colors etc." "Wow! Just like new! You will love living in this 55 and older community! HOA takes care of the yard while you live in luxury! One step inside and you will fall in love with the open floor plan and spacious feel of this home. You will appreciate the upgrades and thought that went into this home! The master suite is massive with a huge walk-in closet. Wheelchair accessible from the garage. HOA includes an indoor pool, gym and clubhouse! Located near the Payson Temple, this home will not last long, especially at this price! Check out the tour then call to see!" "**BONUS** $5000 in (additional) upgrades if you go under contract by February 28, 2019. Luxury Vinyl Plank (LVP) included along with 2 X 6 Exterior walls. Front yard Landscaping included with Preferred Lender. Shown here is our JACKIE Floor Plan. See all Floor plans @PattersonHomes.com This is a to be built home. We can build with your colors and options. We can make minor changes to meet your needs. Even pick a different home or lot. We have many lots to choose from and more phases going up the hill side. Give me a call and let's meet and see if we can build you a home with all the things you want. floor plan, colors and options, We can even be a little flexible on the placement of the home on the lot. Pictures are example of what this home could look like"
"Absolutely gorgeous home with breathtaking views from every room!!! This home features an open floor plan with master on the main with a spiral staircase that leads up to an office/den area. It could be used as an additional bedroom on the top floor making it 4 bedrooms instead of 3 upstairs. Master suite has a separate tub and shower and the large master closet leads right into the laundry room. Main floor bathroom also has a foot sink for washing dirty feet before walking into the house. The kitchen has custom cabinetry, granite counter-tops, gas range, and gleaming stainless steel appliances! Downstairs basement is plumbed for a kitchen and features its own walk-out entrance. Lots of light and plenty of space! Large bedrooms and 2 family rooms add to the perfection of this home! Neighborhood has beautiful homes and did I mention how spectacular the views are??? Be the first to call this home. Come see this home today! Lease Option terms: 10%-20% down, $2800 per month. 1-3 year term. Taxes are an estimate only. Owner/Agent"
"Main level living! 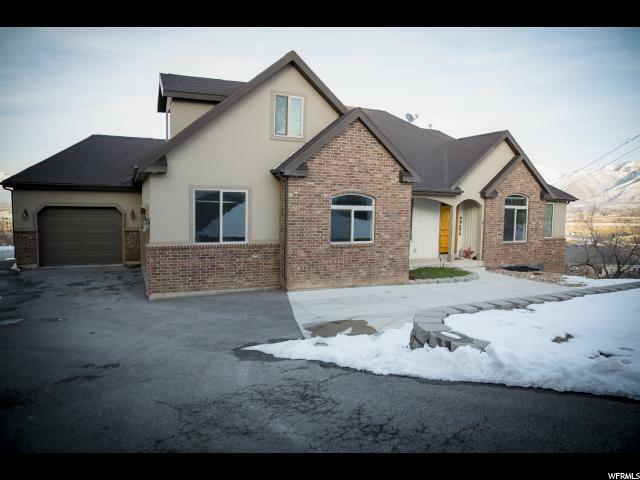 Gorgeous home in beautiful location just below the Nebo Loop entrance. Vaulted ceilings, granite counter tops, with formal living just off the entrance. Gas fireplace gives a cozy feel to the spacious family room. Basement allows for an additional bedroom. 2 bedrooms and a full bath, as well as a large family room complete the basement. Ample storage. Small maintenance free yard. Walking trails run through the neighborhood. Beautiful setting!" 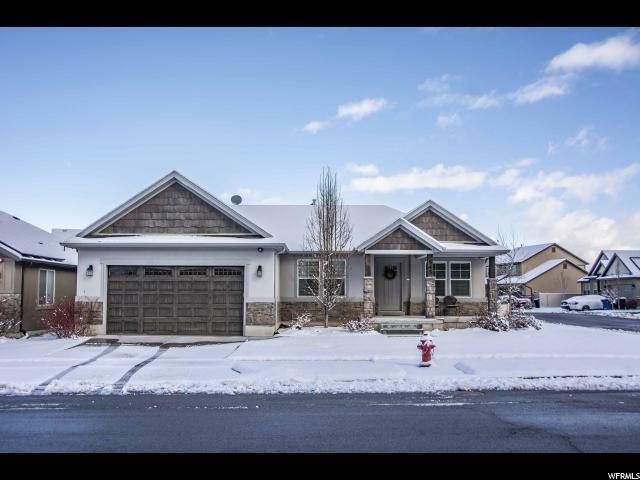 "This beautiful two story Topaz plan situated on quiet street in beautiful Springside Meadows and close to schools. This home has grand master bath, quartz counter tops and laminate flooring. *Get $4,000 towards closing cost by using out preferred lender DHI Mortgage. *Photos: Home pictures are of the same floor plan from a different community. Actual home may differ in color/materials/options." "You will want to see this one!! 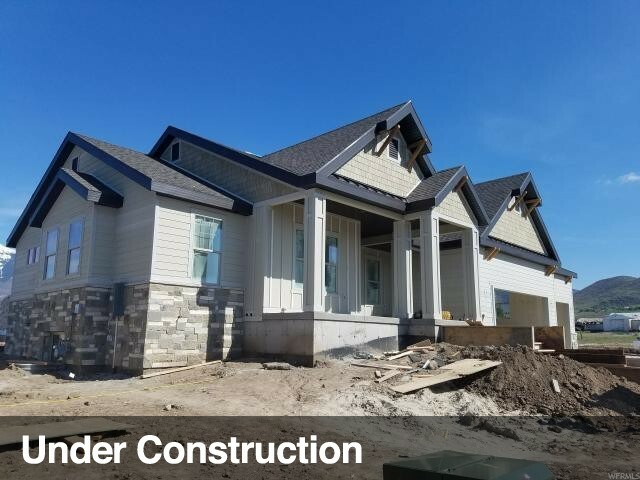 Home features custom cabinetry & wood finishes, granite counters, tile & lvp flooring, gas fireplace, large master suite, w/ jetted tub. Front yard landscaping included. Truly a home with built in extras! Come see it today!" 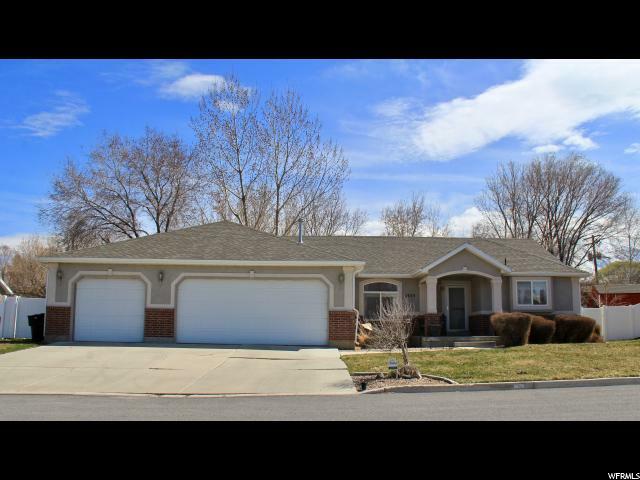 "Beautiful updated rambler in desirable Payson neighborhood. 5 total bedrooms with 2.75 bathrooms. Beautiful updated kitchen with Granite countertops. Large family room in basement with tile flooring, gas fireplace in family room and a kitchenette. 1150 sq. foot garage with built in shelving and workshop area and a basement entrance. Fully fenced and landscaped yard w/mature trees and great shade in the afternoon with no backyard neighbor. "